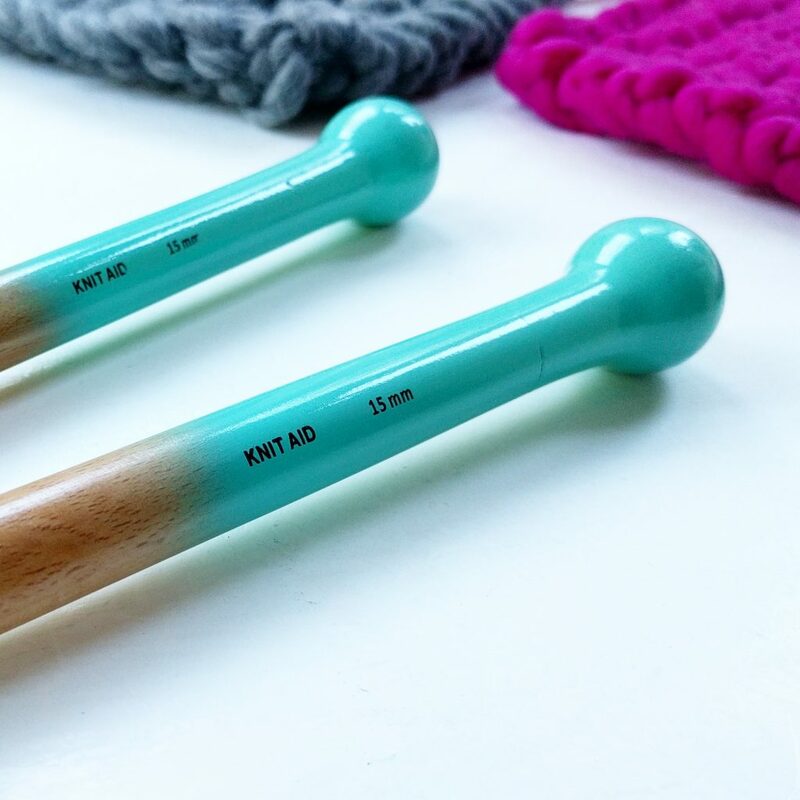 So today I want to tell you guys about Knit Aid, the most awesome initiative to help people like us (lovers of all things knit) to help people in need. Knit Aid was set up by my super lovely friend Shahnaz in response to the current refugee crisis. Seeing thousands of vulnerable people stranded across Europe and beyond, Shahnaz was desperate to do something to help, so did what came most naturally – started knitting! From there a seed began to grow. If Shahnaz could spend a little time knitting hats and snoods for those who needed them, maybe other people would want to do the same? And so Knit Aid was born! Since then, Shahnaz and her partner Karen have rallied crafters everywhere to use knitting as a force for good. They’ve received donations from all over the UK, Europe and as far as America and have distributed them in Calais, Dunkirk and various locations in Greece, Turkey, Lebanon, Jordan and Syria. I know first hand, from my visits to the refugee camp in Calais with The Worldwide Tribe, just how valuable these donated knits have been. The nights in Calais can get so cold, and with nothing more than a tent to sleep in, a chunky hat and snood go a long way to keep you warm. Likewise when you’re sleeping on the streets of Athens with thousands of other vulnerable people, or when a blanket to wrap your child in feels like the most valuable thing in the world. We might not be able to help everybody, everywhere but our individual actions are droplets in a tide of change, and they are important. You really can make a difference. I recently rallied the wonderful ladies at my WI knitting club to join me in stitching up a big bunch of squares for Knit Aid blankets and it was a huge success. Everyone was so invested in doing something for a good cause, and there was a real sense of achievement when we all looked at the big stack of squares we’d created with pride. So now I want you guys to do the same! 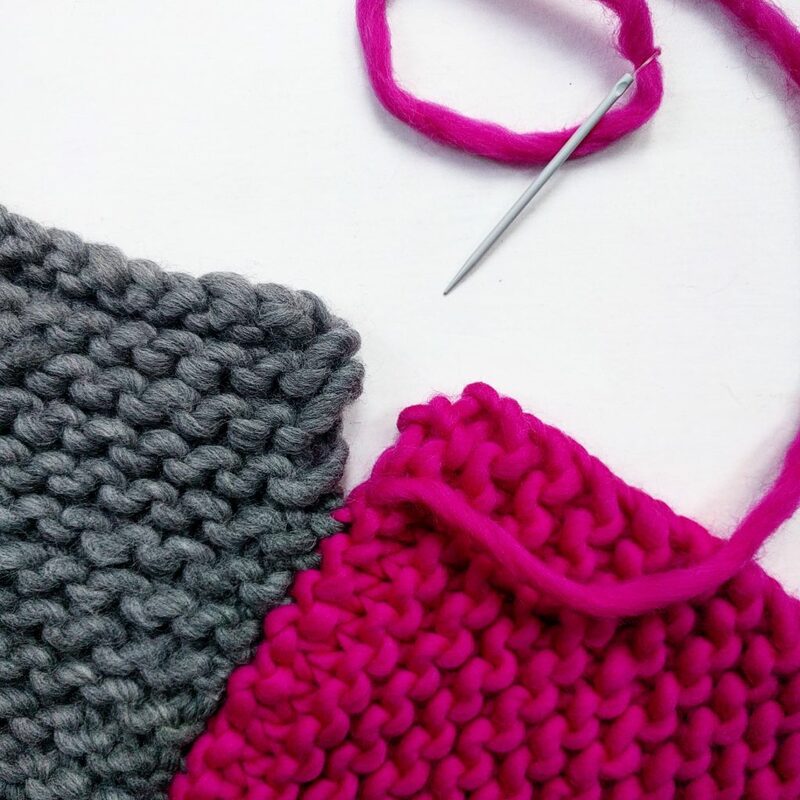 With super chunky yarn and needles, the squares are easy, fast and fun to knit, and the perfect project for beginners! 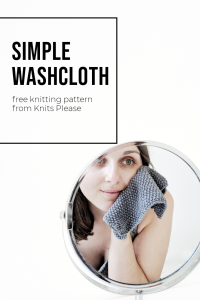 You can find all the info you need for the All You Knit Is Love Blanket over on the Knit Aid website, so get together a bunch of friends and make a party of it! I always remember that episode of Friends where Phoebe is trying to find a selfless good deed but never can, and y’know what? I think that’s alright. Doing good makes you feel good, which is really a win win situation, and what’s better than that? To learn more about Knit Aid, details on collections, events and workshops and a whole bunch of other awesome patterns head to knitaid.org and follow them on Instagram @knitaid. 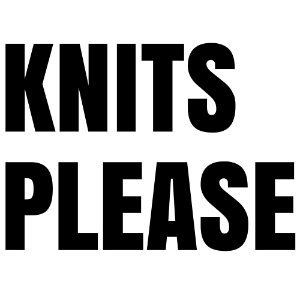 If you’re inspired to get knitting for a good cause, let me know by sharing your pics on Instagram with the hashtags #knitsplease #giveastitch, I love to know what you’re up to!